Join us for another great year, and plant the seeds for change this Spring. Shop ethically this Holiday. 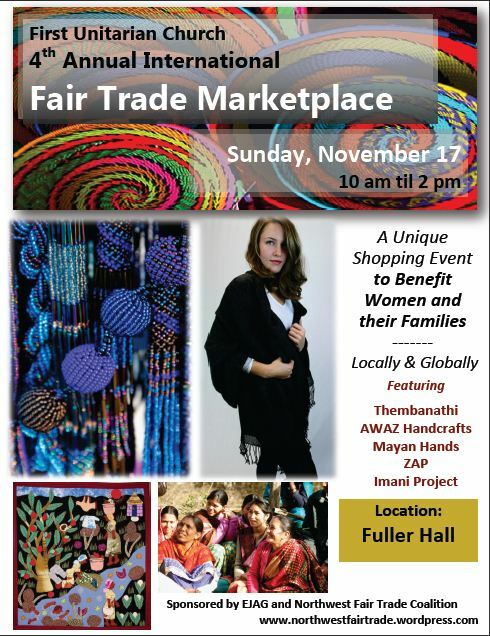 Join us for our 2013 4th Annual Fair Trade Holiday Marketplace Series. The Holidays are here! And the Portland Fair Trade Community is thriving – our members have beautiful projects that support communities around the world eagerly needing your support. Join us for our annual Holiday Sale at First Unitarian Church on November 17th to benefit women and their families worldwide. Can’t make this one – December 8th we’ll be at the First Presbyterian Church too! 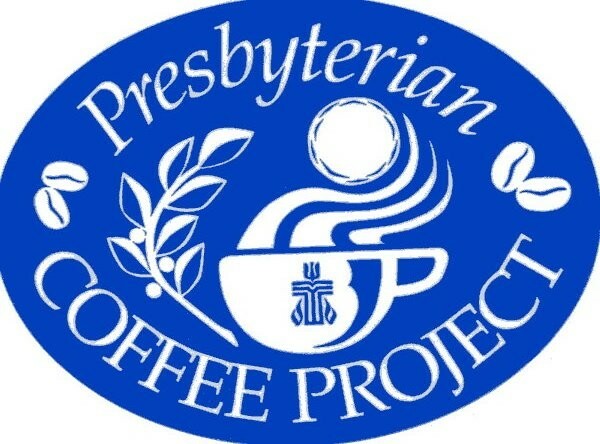 The Economic Justice Action Group of First Unitarian Church will be hosting us again – they helped the congregation start serving Fair Trade coffee and they support a wide variety of actions and campaigns for fair labor, locally and globally. Sunday, November 17 – 10:00 a.m. to 2:00 p.m. The perfect place for shoppers to find a fair gift this holiday. Join some of Portland’s most unique social enterprises and organizations who will share about their work and offer fairly traded food, products and gifts from around the globe for purchase. Snacks and drinks will be provided. The event is open to the general public. Thembanathi is fundraising for their new early childhood education program in South Africa. Awaz Handcrafts is donating 1% of their sales this holiday for nutrition programs for women in the Himalayas in India. Live Music and Kids Center. 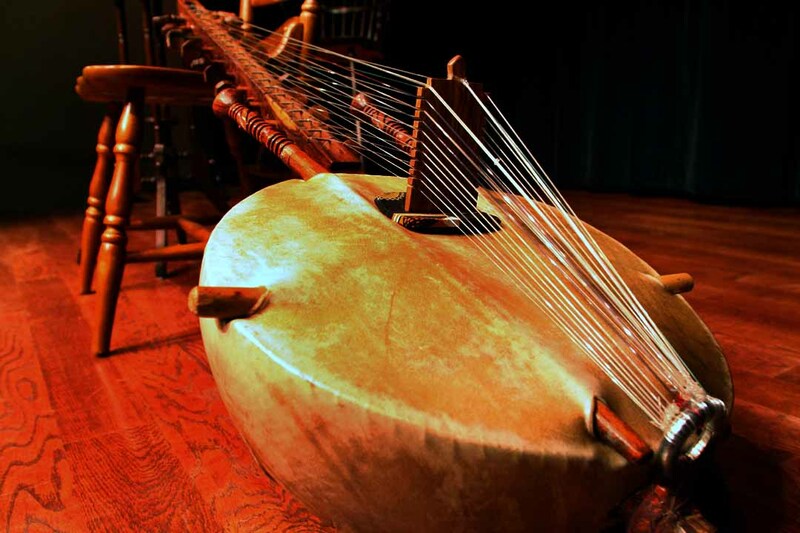 We will have ongoing live percussion music from Will, local Kora African Instrumentalist who will conduct regular music teachings with youth with fair trade instruments from Evergreen Fair Trade in NW Portland. The Kid’s interactive Table will host a computer showing stories of producers and give out FREE Fair World Project publications that includes Fair Trade Certification Guides for a complete educational space. Also, Awaz Handcrafts will be selling ‘friendship bracelets’ made in Bolivia and accepting donations to support a youth orphanage project. FREE PARKING til 2 pm at lots around the church. 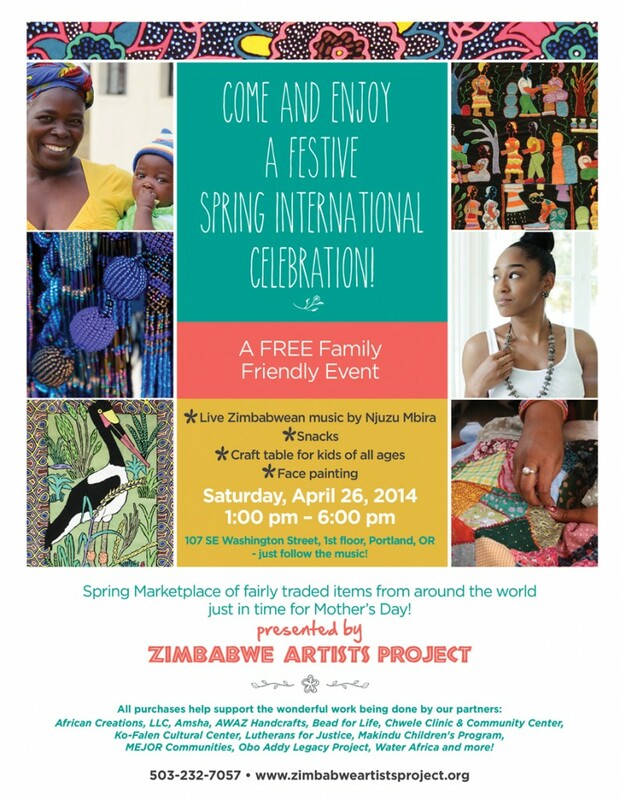 Can’t make it to our first sale? Join us for the second one! We’ll be having a Fair Trade Bake Off at First Presbyterian this year – come taste delicious baked goods from fair trade ingredients and enter a raffle to win a fair trade gift basket! Enter our Bake Off at First Presbyterian Church! Sunday, December 8 – 10:00 a.m. to 2:00 p.m.
NWFTC receives Columbia River Peace Corps Association Community Grant for a project titled Why Fair Trade Matters: Story Collecting about the Impacts of Fair Trade in Rural Communities. This year we are very excited to announce that we are a recipient of the Columbia River Peace Corps Association Community Grant for a project titled Why Fair Trade Matters: Story Collecting about the Impacts of Fair Trade in Rural Communities. This project will create short videos from interviews of women and artisans working in reputable fair trade organizations in Northern India, where NWFTC member, Awaz, has been working for over seven years with community organizations and fair trade craft enterprises experiencing socio-economic development as a result of participating in the fair trade movement. We believe that a major obstacle for people to participate in the fair trade movement is in understanding the economic and social impacts of fair trade in communities in the Global South and how their purchasing power helps combat global poverty / or strengthen transparency and accountability in international trade. The new national fair trade brand for India and advertising they created for the over 20 shops that joined. These stories will capture the lives of individuals and allow viewers to experience the human connection between the artisans that create fair trade products and the improved economic justice that comes from participating in the fair trade movement. We hope these stories will be a great asset to this year’s outreach efforts to promote the Directory and encourage more people to support fair trade in our local community. First of all, a big thanks to CRPCA for making this project possible. Fair Trade is alive and growing in India and I’m excited to be able to share what has inspired me over the years of being involved in social enterprise and the fair trade movement in India. The organizations we work with are all experiencing various levels of growth and socio-economic empowerment for its members in various forms. Thanks to greater focus on income generation as a solid community development model across the globe, that there are more micro-enterprise and fair trade models popping up in India. 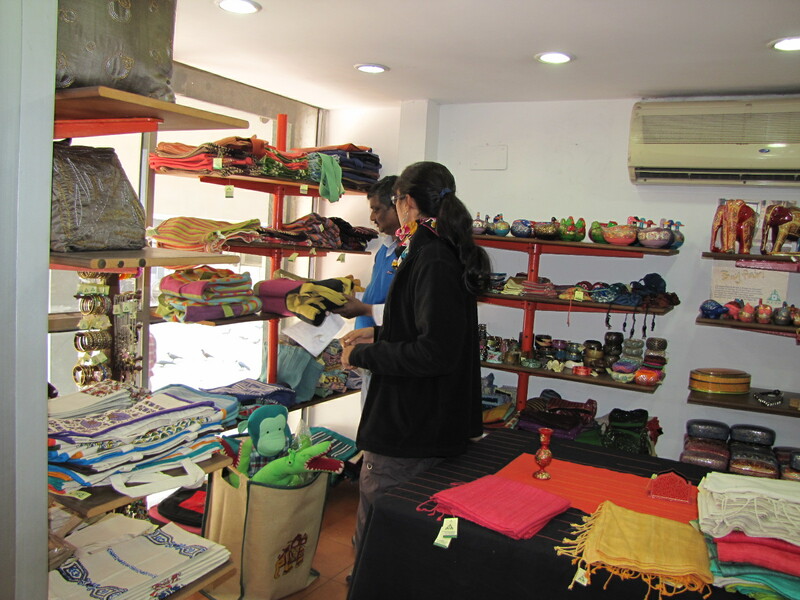 my favorite fair trade store in New Delhi that supports design development and marketing for over 40 disabled artisan groups throughout India. They are now a newly branded fair trade shop. And the national network of fair trade in India, The Fair Trade Forum-India, that coordinates the movement across the country and conducts on the ground audits of organizations (as part of the Asian Regional Network of the World Fair Trade Organization) has just launched a national brand to promote shops and its members. Believe it or not, consumption in India is on the rise as disposable incomes soar and many of the fair trade organizations are slowly targeting their efforts to the local market. In fact, for many years, our supplier’s sales have predominately come from their local market, which is a great thing to hear. 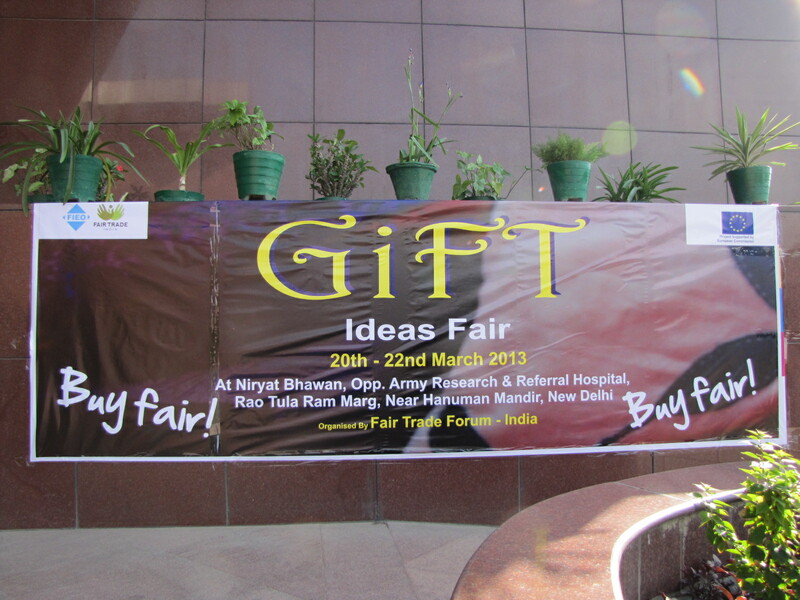 Just two weeks back, I joined a Corporate Gifts exhibition in New Delhi organized by FTF-I to promote fair trade products to corporates. 16 FTOs attended, including three suppliers Awaz works with. The 3-day exhibition was housed at FIEO (Federation for International Export Organizations), a new partnership they’re working on, as well. Handknitted Sweaters, handcrafted Jams and Teas from Green Women Entrepreneurs in the Himalayas – UMANG. Over 700 women own this enterprise. In addition to this, there are some exciting other initiatives happening to encourage ethical business practices for corporates in India. Child Rights & You (CRY), a well known organization that works on child rights and labor issues also just completed their 2nd Annual Corporate Summit that profiled organizations like Patagonia who proudly promote their eco-friendly business practices. Interestingly, the Indian Government has also passed a law that mandates all corporates must give 2% of their profits to charity who have a certain number of earnings. The forum’s latest big project has been building up the Organic Cotton Supply chain in India. Where suicide is a huge issue for farmers who get caught in cycles of fertilizer debt, they’ve been training farmers in Maharastara in organic farming methods and creating a consortium for craft organizations to source organic cotton for their products. Typically, the minimums for organic cotton are too high for small groups to finance. Now one of our larger suppliers has been able to create a Kitchen Table Linen collection and throws in organic cotton and I’ve heard many artisan organizations shifting this way for certain product lines. 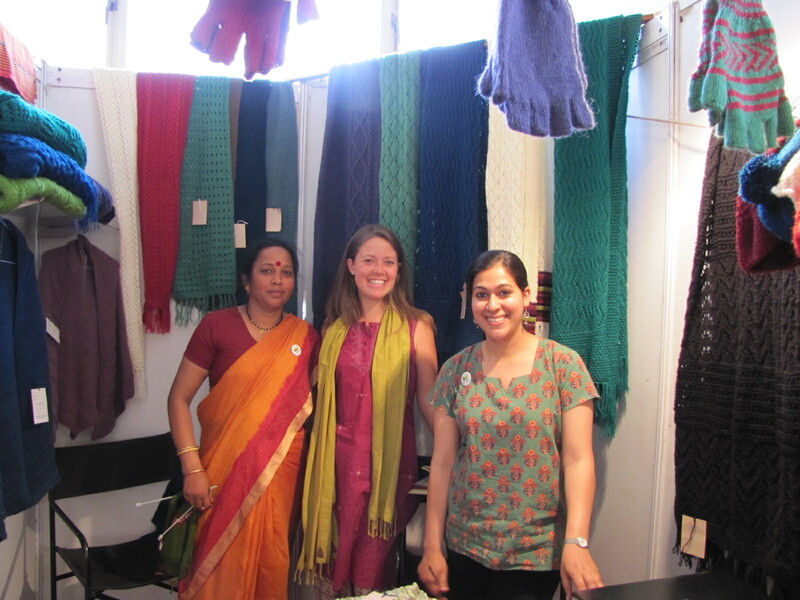 Sadhna continues to be a powerful example of a successful women’s empowerment fair trade model. From just 15 women in a rural tribal village of desert Rajasthan, now their membership includes over 700 women who have become confident, contributing members to their local economies and families. In a community where women are not very much believed to be housewives and not go outside, Sadhna’s work has changed the perception of women in many of India’s rural communities and men and families are encouraging their wives to join their stitching program. I visited their new Production Center where I joined the closing celebrations of two 3-month training programs for new groups of rural women, thanks to grants from the Ford Foundation and TRIFED (a national government program for rural livelihood programs). I captured some great interviews from Group Leaders and Master Trainers who told me thanks to Sadhna, they now have an identity and are able to send their kids to college. Closing ceremony of new 3-month training for tribal women co-sponsoring by government. Robert Brown from Jubilee Oregon decided to join on this project on March 29th. He has a connection to this part of the world as a former Peace Corps volunteer in Nepal and was keen to reconnect with this area and see how fair trade was making a difference on the ground. The Himalayan Mountains are alive with livelihood projects to promote the local bio-diversity and traditions of the people. We visited Himalayan Weavers who uses Ayurvedic plants to create beautiful, unique natural colors for their woolen and cotton scarves, shawls and throws. They continue to work with native Bhotia people providing a marketing outlet to sustain the local woolen craft and weaving traditions of the people. We watched them do an indigo dying process with their dyer whom they’ve employed for 10 years from the local village. They now have over 25 people who they work with. We were amazed at how dedicated they were to environmental conservation in all that they do. They’ve built up their own low-cost, energy efficient dying process to re-use and conserve water and now also sell local locally made organic james, pulses and oils from local farmers. Engaging more people in the fair trade movement is a continuous, challenging two-fold effort that involves the balance of education and consumption. We have to make it easier for people to find and purchase fair trade products and also continuously educate more people about how supporting fair trade in the marketplace impacts communities around the globe and changes lives. This past year we embarked on a larger effort to increase conscious consumption and visibility for our members during the busy holiday season by turning our Annual Holiday Marketplace into a series that included sales at three local congregations, as well as launching Oregon’s first Fair Trade Directory. Enjoy the pictures from some of our events! Notomba promoting beaded jewelry made from women near her home in South Africa affected by HIV AIDs. Thembanathi was able to bring her to the US this year to study English in Eugene. 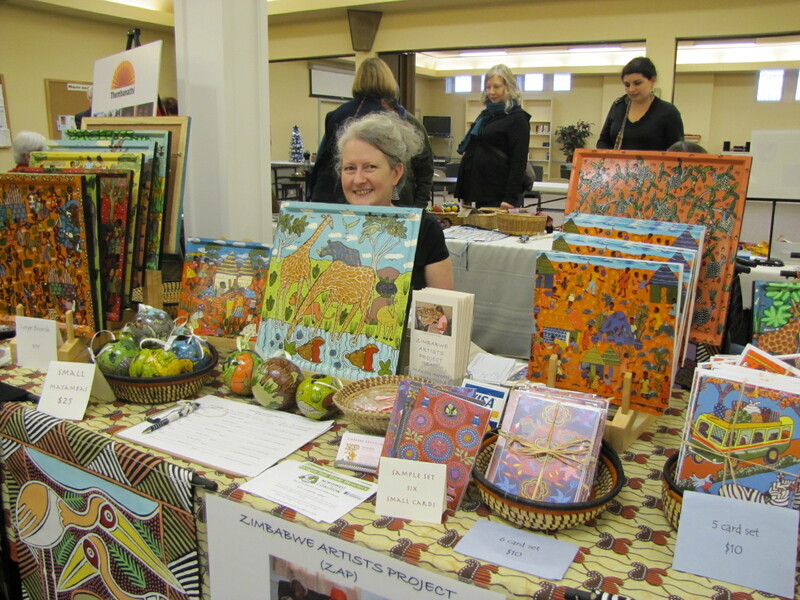 Theresa Executive Director from Zimbabwe Artists Project with all smiles as we finish the rush of people who came to the First Presbyterian Church sale in December. Their artisans handpainted some new Christmas Ornaments on gourds that were amazing! 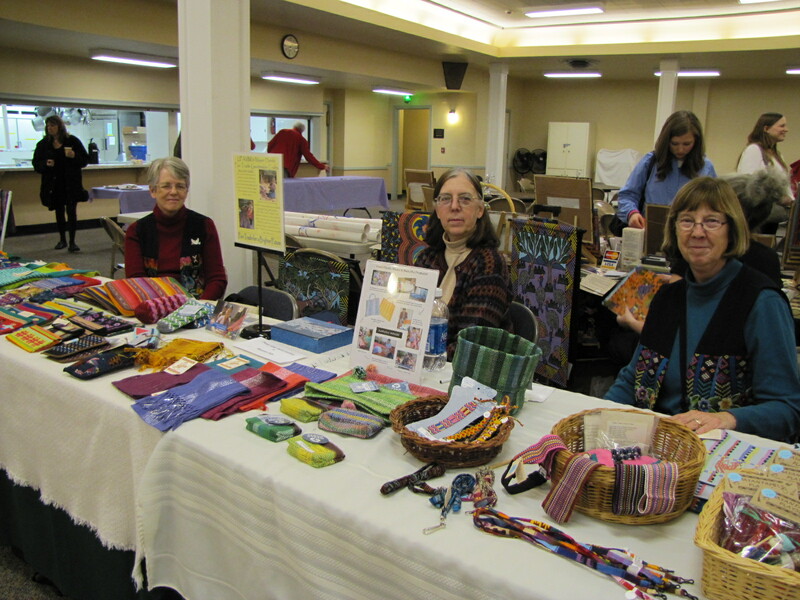 Margaret Zeps and her team of volunteers sell woven textiles at churches and events every holiday season made by women of Mayan Hands in Guatemala. This year they raised over $2,000 to send back. Rafael Aviles talks about the collection of handcrafted natural kids toys, gifts and fashion products from Awaz to customers. 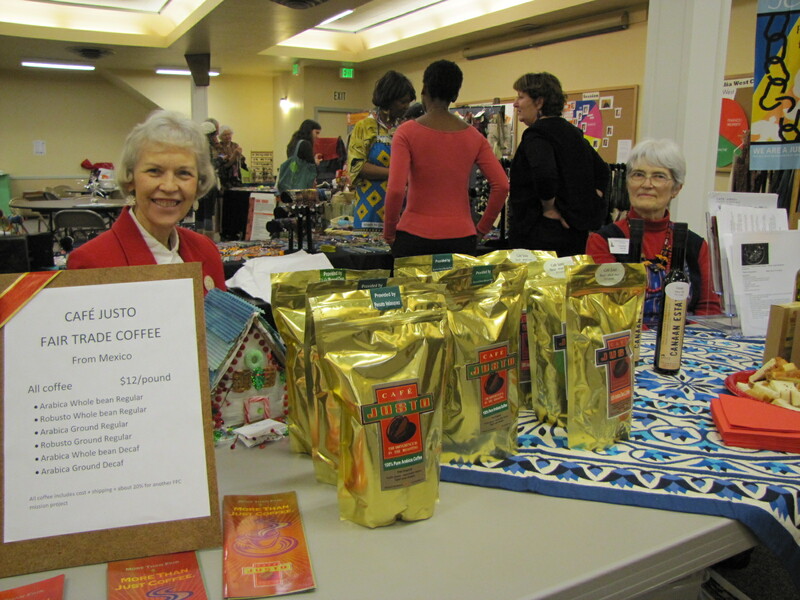 Roberta Cain represents the Fair Trade Leadership Team at First Presbyterian Church by selling fair trade coffee and olive every once a month at her church. Portland, OR (December 15, 2012) Olivewood & Brass, a new fair trade store in Portland, is excited to announce the store’s grand opening this Holiday Season at 826 NW 23rd. The new store features a collection of high-quality, handmade home décor, jewelry, fashion accessories, kitchenware, and children’s toys fairly traded from over 100 artisan groups in 75 countries in Africa, Asia and Latin America. Shoppers can enjoy a wide assortment of holiday gifts made from natural and recycled materials crafted in both classic and contemporary styles, as well as eco-friendly toys, holiday ornaments and musical instruments. Olivewood & Brass will become Portland’s newest and only brick and mortar retail store offering 100% dedicated fair trade products. As a fair trade retailer and member of the Northwest Fair Trade Coalition, Olivewood & Brass joins thousands of retailers across the nation dedicated to offering goods that are sourced in an environmentally and socially conscious way. Fair trade is a trading relationship, based on transparency, dialogue and respect, that seeks greater equity in international trade to ensure that people along the supply chain receive fair wages, that communities have quality education and health-care, and that producers take steps to preserve the environment. Fair trade addresses many of the shortcomings of conventional trade and demonstrates a model where businesses can be successful while putting people first. Increasingly, consumers in developed nations are using their buying power to support supply chain accountability and businesses that build opportunities for sustainable development and environmental conservation through responsible trade. Global sales of fair trade goods have grown dramatically over the years, with Fair Trade International’s latest report show a 12% global increase in sales since 2010. Sales in the U.S. alone increased 10% over the past year. The success of the movement is attributed to many things. As collaboration between designers and fair trade producers has continued to grow, a broader range of fair trade products has become available. The store will carry products from fair trade organizations such as Ten Thousand Villages and SERRV, who work directly with hundreds of small-scale artisans and democratic cooperatives around the world, supplying stores across the country with high quality baskets, dinnerware, decorative scarves, table linens and more. Perfect for Portland’s artisan lovers, eco and socially conscious consumers and global travelers, Olivewood & Brass will provide Portlander’s with a unique shopping experience to discover artisan products for their home, fashion and everyday lifestyle. “We hope that our store will introduce people to new fair trade options that they haven’t seen before,” says Owen. Just in time for the holidays, shoppers can enjoy gifts made from natural and recycled materials that have a meaningful impact. For example,one of a kind holiday ornaments and nativity sets hand-carved from olive wood in the Holy Land, as well as jewelry made from the tagua nut, which promotes conservation of South America’s rainforests. Perfect for the eco-conscious biker, the store has a collection of upcycled messenger bags and purses made from recycled materials, such as tire tubes and women’s saris. Scarves, hats and bags from more traditional materials, like high-quality silk, alpaca wool and organic cotton, are also available. Jamtown fair trade musical instruments from around the world are featured in the kids’ section to complement the wide collection of eco-friendly wooden games and toys and stuffed animals that are both child-safe and lead free. An assortment of festive gift bags and greeting cards from tree-free, recycled paper are available to accompany your holiday gifts. Olivewood & Brass, located at 826 NW 23rd, is open daily until 7pm through Christmas, and closed Mondays beginning in the New Year. Oregon Fair Trade Directory – now you can find all the fair trade products you want! THANKS FOR PICKING UP THIS GUIDE TO BUYING FAIR TRADE IN OREGON! We’re lucky to have a network of businesses, organizations, congregations and individuals supporting fair trade. And we are lucky to have people like you who make intentional choices about the products you purchase based on the values of fairness and responsibility. Because of your support, the City of Portland adopted a Sweatshop Free Procurement policy for uniforms and clothing purchases in 2008. This guide is ultimately about helping to improve the lives of men and women in countries in the global south by giving them a “fair” deal for their work. By choosing to purchase fairly traded products, you will be using your buying power to eradicate poverty around the world. You can be sure that the producer earns a living wage from their work, works under safe and healthy conditions, has a long-term and direct relationship with buyers and uses environmentally friendly practices. As you make your next purchase, think of the farmers and artisans behind the products and, wherever possible, Choose Fair Trade. The most effective tool we have as consumers is demand so if you can’t find fair trade in your local store or cafe — ASK FOR IT! This publication was created by Northwest Fair Trade Coalition. 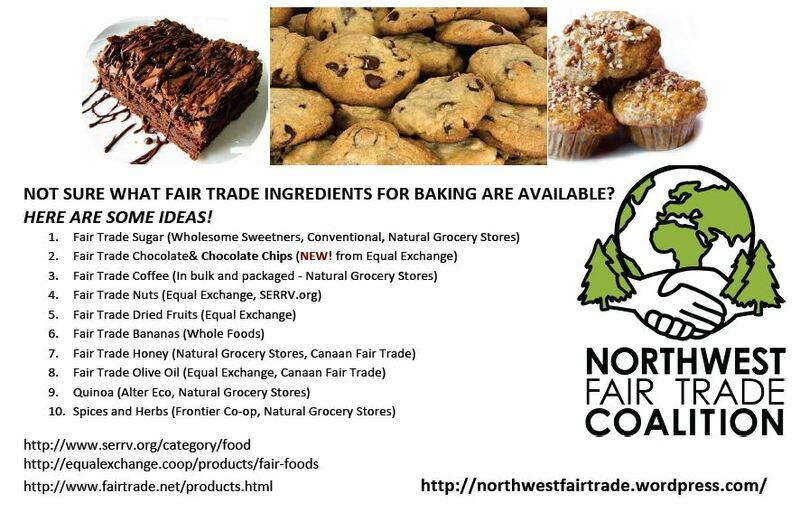 The Northwest Fair Trade Coalition is a membership organization of individuals, faith based and social justice organizations, and sustainable businesses dedicated to promoting economic justice through international fair trade practices and supporting conscious consumption in our community. Fair Trade is a lot of things: a social justice movement, an alternative business model, a system of global commerce, a tool for international development, a faith-based activity. Fair Trade is a trading partnership, based on dialogue, transparency and respect, that seeks greater equity in international trade. It contributes to sustainable development by offering better trading conditions to, and securing the rights of, marginalized producers and workers – especially in the Global South. The fair trade movement shares a vision of a world in which justice and sustainable development are at the heart of trading practices, both at home and abroad, so that everyone through their work, can have meaningful and dignified livelihoods. With fair trade, businesses and organizations adhere to set principles to ensure that people along the supply chain receive fair wages, workers and communities are treated with dignity and respect and producers take steps to preserve the environment. Millions of such trading partnerships are active within a network of producers, importers, wholesalers, certifiers, labelers, retailers, and consumers who are challenging the status quo, and trying to right the injustices of international trade. Farmers, artisans and workers in over 90 countries make scores of Fair Trade product types. The most common kinds of goods exchanged include coffee, sugar, cocoa, chocolate, bananas, tea, jewelry, clothing, and housewares. Others include cut flowers, toys, furniture, art, sports balls, wine, olive oil, rice, quinoa, spices, herbs & more. While trade policy reform is critical, Fair Trade offers a business model that encourages change in global commerce and empowers producers. The system seeks to give marginalized farmers and artisans access to the market and increased independence. Based on principles of economic and social justice, Fair Trade shifts more power into the hands of the producers in the developing world and conscious consumers. Fair Trade also empowers communities and allows them opportunities to reinvest their Fair Trade profits for better education, nutritional programming, increased health services, improved roads and wells, and more. HOW DO I KNOW THAT IT IS FAIR TRADE? The two most widely recognized ways of identifying Fair Trade are organizational recognition and product certification. Consumers in search of Fair Trade products have a vast array of products to choose from. Product labels, such as “Fair Trade Certified”, “Fair for Life Social & Fairtrade Certified”, and “FAIRTRADE” as well as membership in associations like FTF and WFTO, help identify Fair Trade products that are produced according to Fair Trade standards. For coffee, tea and herbs, cocoa and chocolate, wine, olive oil, rice, quinoa, fresh fruit, flowers, sugar, vanilla and cotton…. With product certification, an item is Fair Trade no matter who trades it. The FAIRTRADE label placed on a product indicates that the product is Fair Trade Certified and its entire supply chain has been audited according to internationally agreed standards. Fair Trade certification not only provides a minimum guaranteed price, it also provides producing cooperatives with a premium to invest back into the business, or to upgrade basic living standards in the local community. The wider practices of the trading organization are not considered, even if those practices largely conflict with the values and goals of Fair Trade. For example, Wal-Mart may sell a little certified Fair Trade coffee, along with a lot of conventional coffee and thousands of other conventional goods. There are some products that are fair trade, but at this time cannot be licensed to carry the FAIRTRADE label. 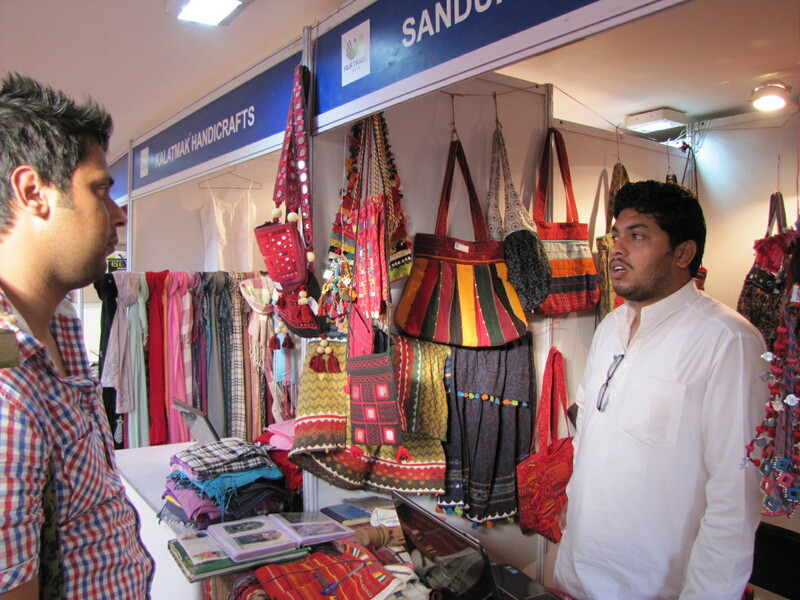 Such products include handicrafts, textiles, toys, homewares, jewelry and skin care. The most reputable of these producers will be members of the World Fair Trade Organization. WFTO accredits organizations that operate under fair trade principles. The WFTO system operates differently to the Fairtrade Labelling/Certification system in that there is no label, instead, the product is considered ‘fair trade’ if it was made by a WFTO member. Because of the various raw materials used throughout these items, it’s impossible to certify every product and its supply chain. Cotton has recently become a Fair Trade Certified commodity and artisans are incorporating it into their production. With organizational recognition, a trading organization is approved as Fair Trade. These membership organizations evaluate organizations and businesses for their full commitment to Fair Trade principles and accept only “100%” fair trade organizations. For these traders, almost every item they sell is a Fair Trade product. Not only are producers treated fairly through minimum prices and social premiums, but other practices of the trading relationship are conducted in concert with Fair Trade values and goals, such as building the capacity of producers to respond to market trends, to learn best practices, and awarding grants to buy tools & equipment. Under organizational recognition, vendors must show evidence to consumers and traders that they are approved as fully committed Fair Trade organizations by a third-party approval body, such as the Fair Trade Federation, the U.S. association of fair trade businesses. Individual products sold by Fair Trade organizations may, or may not, have a Fair Trade mark or label. Many Fair Trade advocates call these organizations fully committed, mission-driven, or 100% Fair Trade. There are predominantly two third-party associations that recognize N. American Fair Trade organizations: the Fair Trade Federation (FTF) in North America and the international World Fair Trade Organization (WFTO). They have similar criteria. Not all products and organizations can be ‘certified’ or ‘accredited’ because of the complexity and variety of the relationships established between producers and traders. Some products are produced in direct partnership with a reputable designer, manufacturer or importer. Ask your retailer or go to the source: Where did the products come from, who made them and under what conditions? Above all, fair trade is a movement, which seeks to empower disadvantaged producers. Is this the case with the product that you are buying? This directory lists many retail shops, cafes, grocery stores, food cooperatives and faith-based organizations that sell or serve fair trade goods. The Directory is organized by city and by neighborhood. Please let us know if you find other shops in your area. 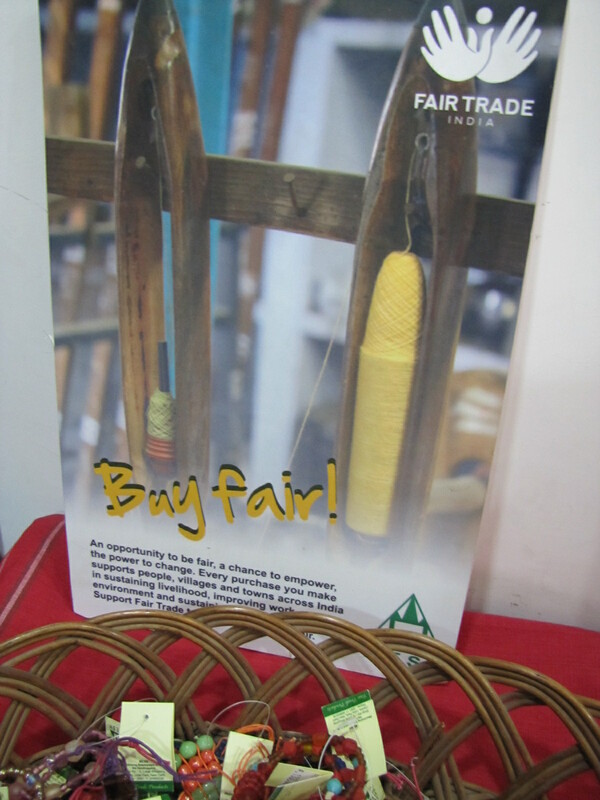 Have you spotted a fair trade item in your local store? ASK THEM TO FILL OUT OUR ONLINE SURVEY TO BE A PART OF THE DIRECTORY! Almost all grocery stores carry fair trade coffee, chocolate, tea and sugar. Some stores carry fair trade cosmetics and body care. We hope that you will seek out the fair trade products where ever you shop. Often, fair trade products are found in the natural food sections of stores. Ask at the stores where you can find the fair trade products you want to purchase. If a store does not carry the fair trade you want, tell the store management that fair trade products are important to you. In all cases, make sure that the items identified as fair trade carry the logo of a fair trade certifier or membership organization. Some stores have their own fair trade label that work with a 3rd party to inspect and certify the company’s operations against the standards. However, the standards these in-house labels use are often not transparent or consistent with the mainstream fair trade certifiers. 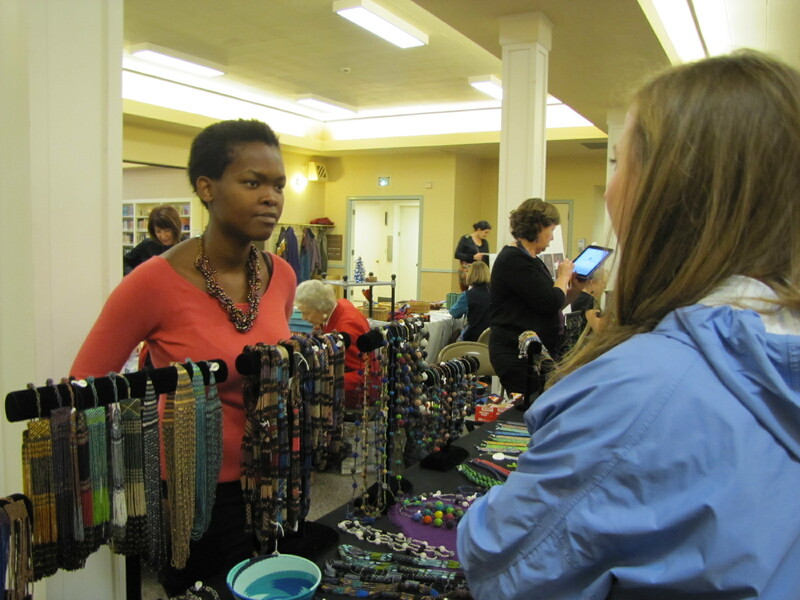 Many congregations support fair trade as a way of practicing social justice. 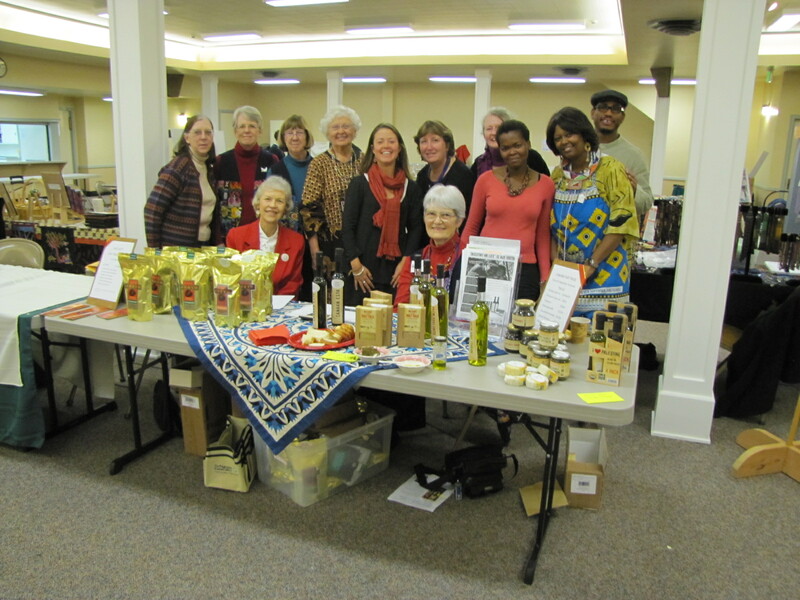 Below is a listing of congregations that serve and/or sell fair trade products. A Portland-based coalition of businesses, community groups and congregations working together to strengthen fair trade in our community and the Northwest. is the trade association that strengthens and promotes North American organizations fully committed to fair trade. Members include fair trade importers, wholesalers, retailers, producers, non-governmental organizations and individuals. Founded in 1999, the Fair Trade Resource Network (FTRN) seeks to build a more just and sustainable world by gathering, developing, and disseminating educational resources about Fair Trade. FTRN is the only non-profit organization in the world focused exclusively on Fair Trade education, helping people to better understand the impact of their buying decisions. was launched by the Organic Consumers Association (OCA) in 2010 to promote fair trade in commerce, especially in organic production systems, and to protect the term “fair trade” from dilution and misuse for mere PR purposes, as conscious consumers expand the market for fairly traded products. is a non-profit, multi-stakeholder association involving 25 member and associate member organizations (labelling initiatives and producer networks), traders and external experts. The organization develops and reviews Fairtrade Standards, assists producers in gaining and maintaining Fairtrade certification and capitalizing on market opportunities. They are the dominant certifier of fair trade products globally. The WFTO represents Fair Traders from grassroots through to the G8 and is the authentic voice of Fair Trade, having driven the movement for 20 years. It is the only global network whose members represent the Fair Trade chain from production to sale. Membership of the WFTO is limited to organizations that demonstrate a 100% Fair Trade commitment and apply its 10 Principles of Fair Trade. As well as being a fair trade shopper, there are many ways you can get involved in fair trade. Your level of commitment can vary from the easiest little thing to some full-scale fair trade warrior initiatives! Join other activists in supporting small-scale family farmers around the world. Encourage your neighbors to join the global movement for trade justice by asking for and purchasing Fair Trade products. Visit the stores and websites listed in the directory. Become familiar with the authentic fair trade certifiers and membership logos to look for on products. Share fair trade with others. The easiest thing to do is to talk about fair trade. Mention it as you pour someone a fair trade cup at home or show off your latest fair trade purchase. Make a statement by giving fair trade gifts. Ask for it. You can waltz into any café and ask, “Do you serve fair trade coffee (or tea) here?” Do you sell any fair trade products here? and if they say “no” then you can make a statement by walking out, or order water instead! You can organize within your community to educate using film screenings or other educational events. If you sense that there is some interest in fair trade, you can organize a selling opportunity around holidays or sell items on a regular basis. Fair Trade your Work, School or Congregation. Ask your boss to switch to fair trade certified tea and coffee in the break room. Or just bring in your own and offer to share it with some of your colleagues. You can buy the products in your store or set up an account to buy direct from the company. In Congregations, the easiest thing you can do is ask to serve only fair trade coffee and tea. 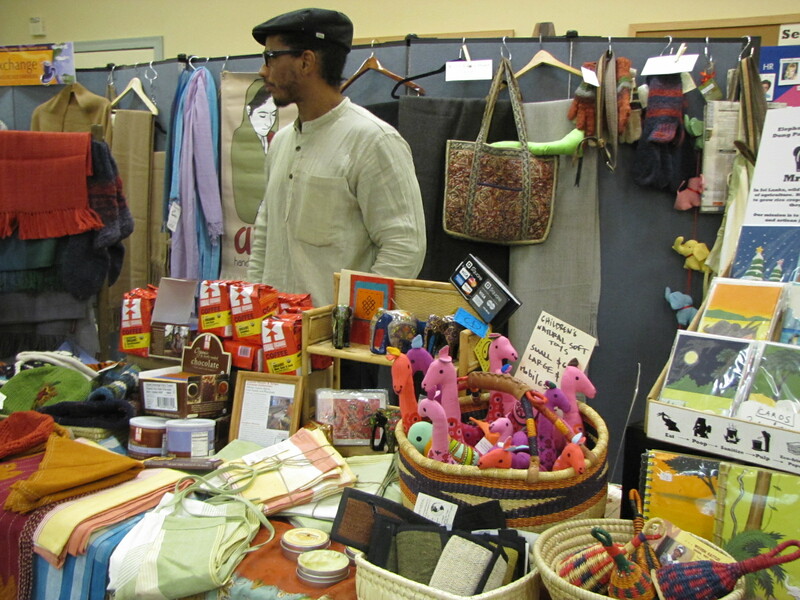 You can also organize to sell fair trade products, such as a Fair Trade First Sunday or host fair trade educational events. Contact NWFTC for information about selling or about hosting an educational event or movie screening. Encourage your university to create a Sweat-free Policy. 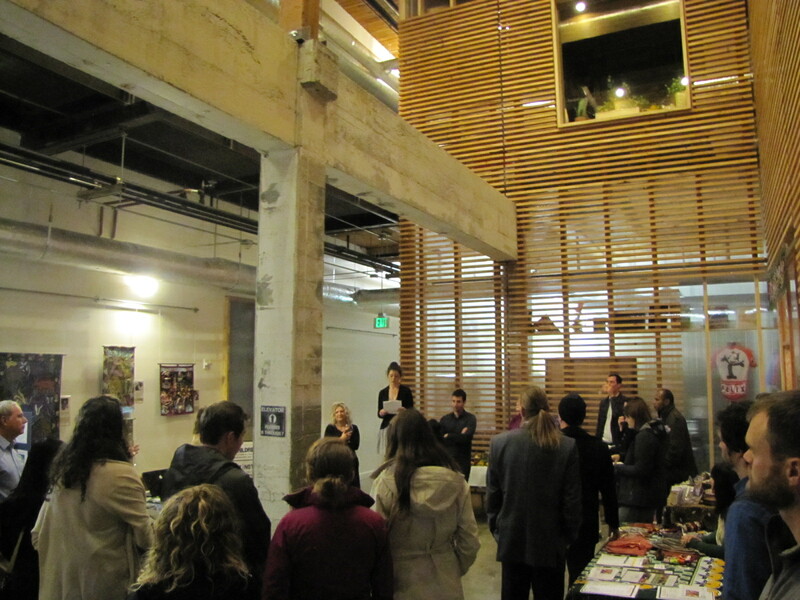 United Students for Fair Trade is a national network of students dedicated to fair trade. They have various national campaigns your student group can link up with. Lobby your Food Service Provider, Student Union and Departments on campus to adopt a fair trade procurement policy. Get your university to sign on to the Designated Suppliers Programthrough the Worker Rights Consortium and offer sweat-free college apparel from Alta Gracia Apparel. For the K-12 set, school uniforms can also be made Fair Trade at http://www.fairtradeuniforms.org. Get fair trade sports balls through fairtradesports.com. 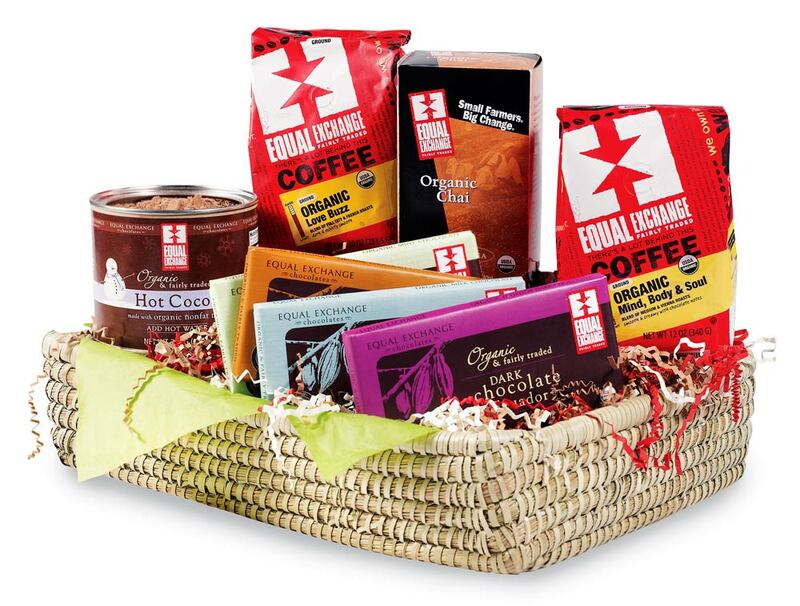 Fundraise with ethical fair trade products. Faith Organizations, take our Congregational Survey to be part of the first Oregon Fair Trade Directory! Our steering committee has expanded the directory project to now include all of Oregon and congregations. Fair trade has been important to Oregonians for a long time and we want to leverage that power to raise the bar and encourage more community leaders to get involved and create change through ethical trading practices. Long time fair trade businesses like Moxie Fair Trade in Manzanita and One Fair World in Salem will now be apart of our directory, as well as a plethora of great local, ethical businesses we’re busily gathering information about to put in the directory. You can help by sending our survey to any business in your community that may carry fair trade products. Faith Organizations have also been long time supporters of fair trade. The Mennonite Church in fact, founded the fair trade movement. Following suit, Catholic Relief Services and Lutheran World Relief have all made fair trade a la rge part of their work, setting an example for small and large ministries across the nation to support fair trade producers by exclusively serving fair trade coffee and tea being an agent for selling their goods. Equal Exchange’s Interfaith Program helps congregations build a more just food system by fundraising through the sell of fair trade coffee, chocolate and tea. 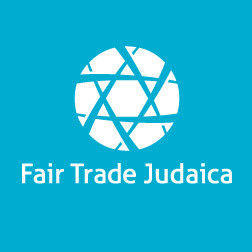 A recent non profit called Fair Trade Judaica headed by Illana Schatz works to build a fair trade movement in Jewish communities by reflecting on how our actions truly express our values. Oregon’s first ever Fair Trade Directory will serve as a community resource for finding ethically sourced, authentic fairly traded products in Oregon. We would love to include your faith organization in our Congregation Section of the directory to encourage and showcase congregations that support fair trade by either using fair trade products (coffee, tea, chocolate, etc.) or selling them. We ask that you support our efforts by completing this very short, 6 question survey whether you currently serve or sell fair trade products or not or to what extent you’d like to be involved with fair trade. Here is a link to the survey: http://www.surveymonkey.com/s/LYMCHLB. We invite you to collaborate with us in raising awareness and making fair trade a larger part or our community culture! Let’s raise the bar and encourage all of Portland to be fair trade!